After waiting for 10 hours (TEN!!) 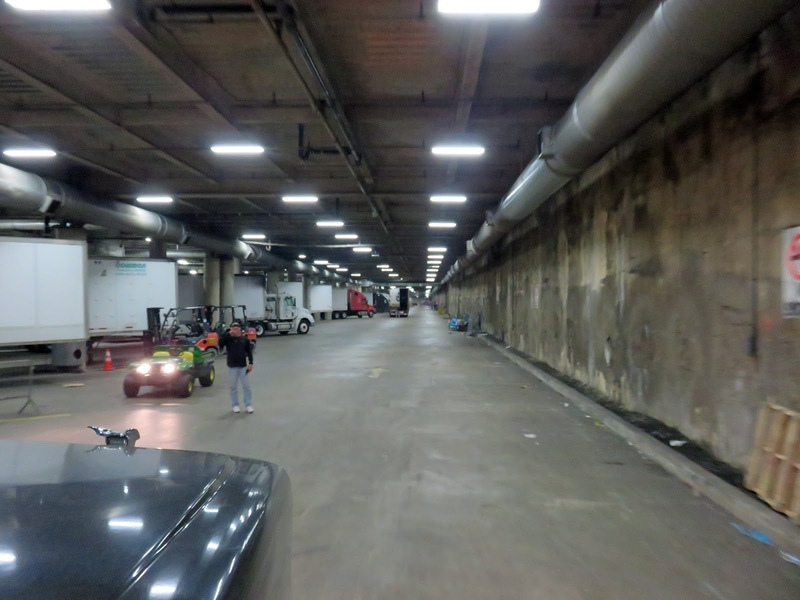 in the marshalling yard several miles away, we were finally directed into the bowels of the Walter E. Washington Convention Center in Washington, D.C.
We were picking up a flight simulator for TRU Simulation + Training. By the time we got there, everything was crated up and ready to go. 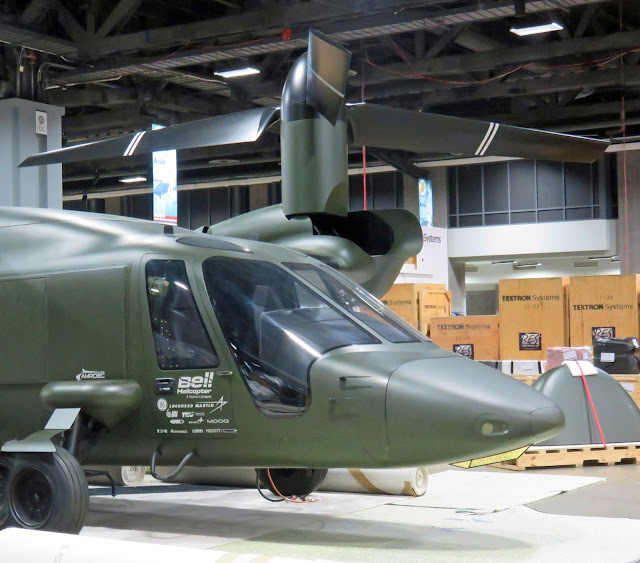 The convention exhibit being packed up was the Association of the United States Army (AUSA) Annual Meeting & Exposition, the largest defense-related forum in the country, whose show motto was "Win in a Complex World". 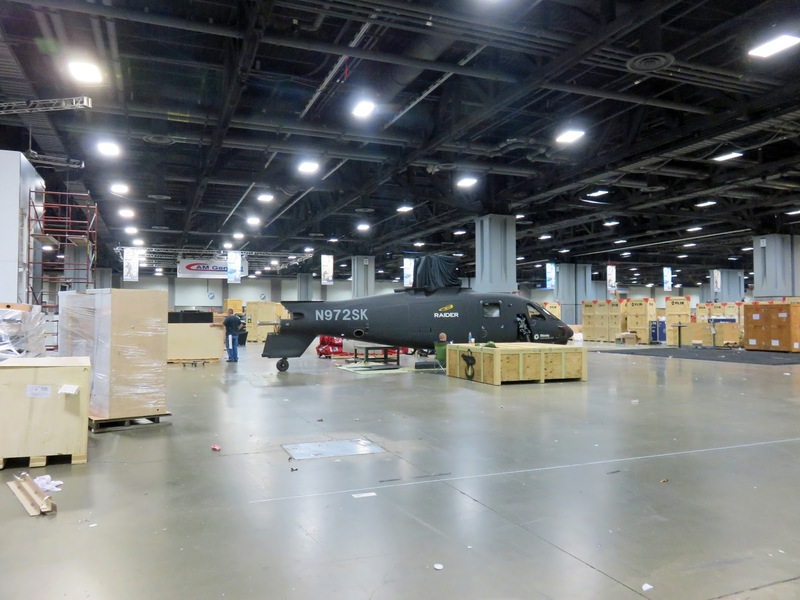 Banners hanging in the convention hall and labeling on the crates depicted many of the contractors who cater to the government - Lockheed Martin, KBR, Northrop Grumman, BAE Systems, General Dynamics and more. Although the show was mostly broken down when we arrived, there were still a few displays on the floor too large to be crated - like this one from Bell Helicopter - waiting to be shipped. Our friends picked up a smaller helicopter from the show - they were ushered into the convention center before us, so we didn't see which one they got, but I know it wasn't this big. 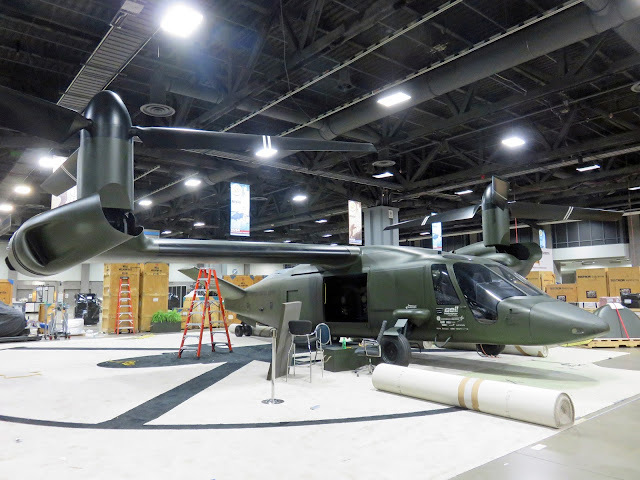 It's always interesting to see the different trade show products, and to be able to get a close-up look at products or machines like this that we'd normally only see from the ground, looking up. This is the kind of stuff that makes what we do so interesting. I like it because it's different, the boys like it because they're gaga about this kind of stuff. 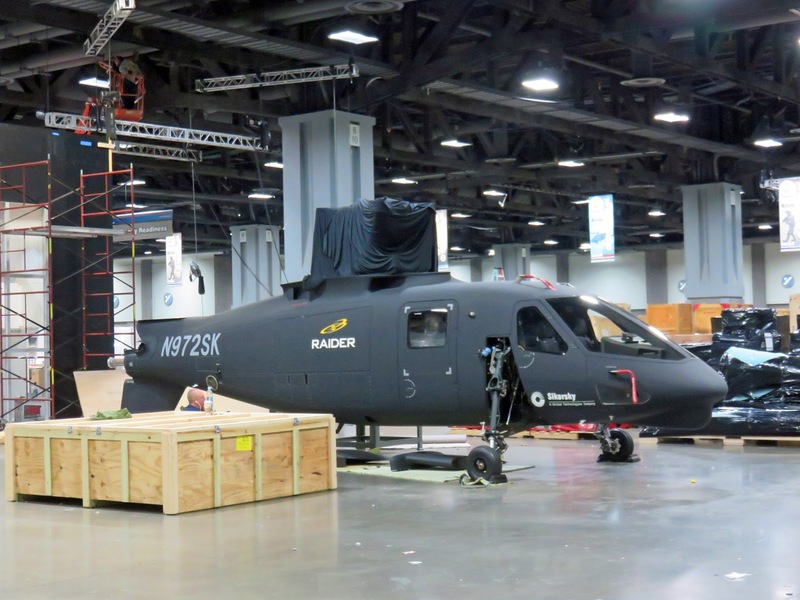 Ed abides by the "look, but don't touch" rule, so I knew he wouldn't be climbing into the helicopter's cockpit, but it was pretty tempting.